At the dinner table, my wife and I were talking about the piece she just published in her blog, The Red Sticks. She spoke about how she manages her time while raising our twin boys. You can read her whole post here — Dividing Time. 1. It is okay not to be able to do everything. 3. Don’t forget me time. 4. Use your kid’s downtime to your advantage. Although the post was written with parents — particularly Moms — in mind, these lessons can be applied to one’s personal and professional life. No wonder she is doing a great job with the boys and on top of this, she is still able to do her personal stuff (like writing). It’s okay not to be able to do everything. This is true in business as well. You can’t possibly do everything. If you insist on trying, then most likely you will just get frustrated and miss more important tasks and goals. Prioritize. This is about making the best use of your limited time and resources when demands are seemingly limitless. Your day only has a limited number of hours. This is the same for your week, your month, your year, etc. There is a maximum number of things that you can possibly do (with good quality) in a period of time— therefore, you need to prioritize. Don’t forget me time. “Me time” at work is the time you dedicate to developing yourself. Identify areas of improvement in your skills and capabilities. Talk to your boss and your peers to get feedback and continue to improve yourself. Part of accountability is continuous self-improvement. Not only do you look at what you’re already good at but also what else you can improve on. Use your downtime to your advantage. Obviously, there are times at work when things are toxic — everything needs to be done right away and deadlines overlap. However, there are also down times. 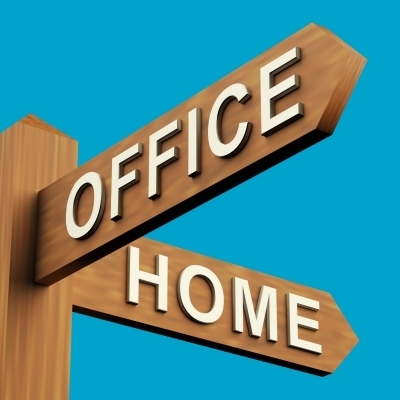 There are two ways you can make use of your office down times. First, you can schedule your vacation at this time and make sure you maximize the number of days you go on leave. The other way is is through extracurricular activities in at work such as organizing a community outreach and writing in the newsletter. If there are opportunities for you to use or exhibit your talents, then volunteer. Enjoy your work. Look forward to it everyday and think of having fun. Try not to see work as work but as an opportunity to learn something or mentor someone. You will see how it will impact your productivity! So who says managers can’t learn from Moms? This post is a perfect example. After all, our Moms are probably our first “managers”. Photo courtesy of Stuart Miles.